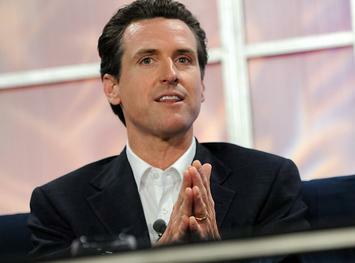 Already anointed by The New Yorker as the “head of the resistance,” Gavin Newsom could well think he’s also king of California politics. He can both sell himself as the model of progressive virtue and also lord of the world’s fifth-largest economy, home to three of the world’s most powerful and influential companies. California, along with New York, epitomizes what the French Marxist economist Thomas Piketty has aptly called “the Brahmin left,” which trades in digits, images and financial transactions. The other side, “the merchant right,” trades in more tangible goods such as cars, steel, oil, gas and food. Yet here’s the rub: The vast majority of Californians are not entitled Googlers from Stanford who can spend their time obsessing about the climate or the meaning of their sexuality. The Brahmin model has worked well for the top earners, and their offspring, but most Californians were left out of the boom. The rest of the nation thinks it has our number and is calling it. Data compiled by EMSI and Mark Schill over the last year reveal some key metropolitan regions, including New York, Los Angeles, Chicago and Boston, are falling behind in terms of job creation with competitors such as Nashville, Orlando, Phoenix, Dallas and Salt Lake City. The Bay Area economies, which ranked in the top five over the last decade, notched 15th and 16th last year. Even tech and business service growth, although strong down the peninsula in Silicon Valley, is now much more rapid in the sunbelt hotspots. Much the same can be seen in migration. During the recession and the early recovery, out-migration from California slowed considerably, and the San Francisco area actually went net positive. But since then virtually all the coastal areas have seen increased out-migration. Since 2012 total net out-migration from the state has almost tripled, with many of the new departures among younger, more affluent residents. Whereas many states might have envied California for its tech growth, they may be less impressed by its absurdly high cost of living, high energy prices and nation-leading poverty rate. A state where one in four people is poor, and as many as one in three households, according to United Way, live on poverty’s doorstep. California’s growth model has become dependent on two key sectors — high-end real estate and the tech companies — that generate capital gains on a massive level. But both of these sectors face some challenges now that could hamper their future growth. Real estate, at least on the residential side, shows signs of peaking. Inventories are up, sales are down and there are concerns about the possible slowdown in Chinese investment. A similar pattern has emerged in Australia, where the departure of Chinese investors has sent prices plunging in some markets. Already many Californians, cashing in on inflated housing, may be taking their own dollars to more affordable markets such as Boise and Reno, where Elon Musk has put his new battery plant. Then there’s tech, which has been the Energizer Bunny for the state economy and chief contributor to the state’s coffers. Companies like Apple, Google and Facebook all face slowing growth; their stock prices have fallen considerably, which will reduce capital gains. Right now the best hope for the budget lies in possible IPOs for Uber and Airbnb, which might allow the state another taste of the tech narcotic. Newsom, who identifies himself with the tech oligarchs, will see any IPO or resurgence in tech stock prices as a means to boost spending without pain. Yet he also will find himself asked to pay for programs — housing subsidies, renewable energy and expanded free healthcare — that could un-balance even the healthiest budgets. Under the “frugal” Jerry Brown the state budget since 2011 grew 53 percent while the population expanded by a mere 5 percent. One can only imagine what happens now with an even less “stingy” chief executive. The wish list of new expensive programs — single-payer healthcare alone would up to double the state budget — means Newsom must likely raise taxes ever higher. This likely will not be tough on tech firms themselves, which are adept at tax avoidance, but on upper-middle class taxpayers who have been drifting for decades to the Democrats. What are needed are programs that resonate with an older generation of Democrats. This would include practical infrastructure investment we would actually use — roads, bridges, airports, water systems — and could also help create thousands of higher-paying blue-collar jobs. Better than wasting billions on Jerry Brown’s choo-choo, or expanding transit systems that continue to lose riders. Even in “good times,” most Californians are not doing so well, as indicated by low homeownership rates and the migration numbers. Given our historic economic diversity, we need to develop an economy that also provides hope for people without Ph.Ds. Gavin Newsom may like to see himself as the governor of the technocracy, but to succeed he also needs to be governor for everyone else. Submitted by Low Budget Dave on Wed, 11/14/2018 - 08:20. People are moving out of California because real estate prices are too high. As proof that the “boom” has ended, we have the observation that real estate prices are coming down. It sounds to me like the problem has a built-in solution. I predict that once real-estate prices moderate, people will buy again. The observation that tech companies can (and do) move contains an element of the same logic: If a city offers a company enough free stuff, the company will gladly accept it. It seems odd to me that a person who accepts free stuff is a "deadbeat", but a company that accepts free stuff is an "investor". Some cities offered Amazon so much free stuff that if Amazon built their new mini-HQ there, the city would have gone bankrupt. California is not unique in this respect: If you cut taxes on everyone, then there is no money left to pay for police, or fire, or schools.